born on 3rd October 1936 in Chlumec nad Cidlinou (Czech Republic) in a musicians' family. After graduation at a secondary school in Podebrady he studied conducting at the Prague Conservatory with Vaclav Smetacek and got through in 1959. During following two years he was engaged as a teacher of music at Liberec. Since 1961 he continued his studies of conducting at the Academy of Musical Arts at Prague with Alois Klima and musical theory with Miloslav Kabelac. In 1966 Mario Klemens proved his conductor's qualities by winning the international conductors' competition in Besancon (France). Still during his studies he became a conductor of the J. K. Tyl Theatre at Pilsen. There he also headed the "Orchestral Association" with which he performed works of concert and oratorio repertoire (Requiems by Verdi, Mozart and Dvorak, Stabat Mater by Dvorak etc.). 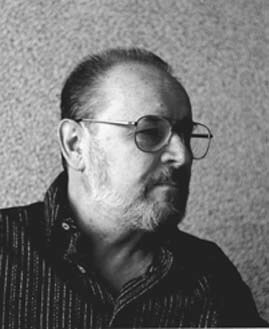 Between 1970 and 1972 Mario Klemens was the conductor of the Czechoslovak State Ensemble of Songs and Dances, where he conducted among others works by Janacek, Martinu and Trojan. At that time he began to cooperate with Prague Symphony Orchestra FOK as well as with other leading Czechoslovak orchestras (Czech Philharmonic, Slovak Philharmonic, Czechoslovak Radio Symphony Orchestras). He also started to make recordings for Supraphon and Panton recording companies as well as for broadcasting with Czechoslovak Radio. After 1972 Mario Klemens has been the conductor of the State Philharmonic Orchestra Kosice (Slovakia) for four years. There he has built the repertoire of the orchestra founded in 1969. After returning to Prague in 1976 he was engaged as a professor of conducting and the orchestral playing at the Prague Conservatory. In 1979 he began a twelve-year engagement with the Film Symphony Orchestra (FISYO) being its chief conductor till 1991. He has made more than 150 film music recordings for both Czechoslovak and foreign film companies. In addition to the studio work he has also built the concert repertoire of FISYO performed by the orchestra during concert tours and the festival concerts in the Czech Republic and abroad including the Prague Spring Festival. Between 1990 and 1994 he was again teaching conducting and orchestral play at the Prague Conservatory. Nowadays he works as a guest studio and concert conductor. He cooperates with many Czech and foreign recording companies (for which he records with orchestras including Czech Philharmonic Orchestra and Warsaw National Philharmonic - Poland). Mario Klemens systematically goes in for both Czech and foreign contemporary music. He performed more than one hundred contemporary compositions, most of them as their first performances. Mario Klemens cooperated with the whole range of world famous soloists as Ivan Moravec, Gidon Kremer, Andree Navarra, Shizuka Ishikawa, Sergei Stadler, Magdalena Hajossyova, Nicanor Zabaleta, Josef Chuchro, Milos Sadlo, Ivan Klansky, Ivan Zenaty, Boris Krajny, Vaclav Hudecek and others. Mario Klemens conducts as a guest conductor abroad, too (e.g. in Spain, Italy, France, Germany, Bulgaria, Austria, Rumania, Hungary, Cuba and former Yugoslavia and Soviet Union). Mario Klemens' repertoire includes many oratorio and cantata compositions of both Czech and world music literature. Thanks to the many years' engagements with different orchestras he is a conductor with a large experience in wide range of musical genres.